Show school pride with Graduation Bookmarks. Create your own school color combinations to mark your yearbook pages, give away as a party favor, or make a nice gift. Our Tassels are MADE IN THE USA!! KEEPING AMERICAN JOBS IN AMERICA!! Order combinations of your own School Colors. 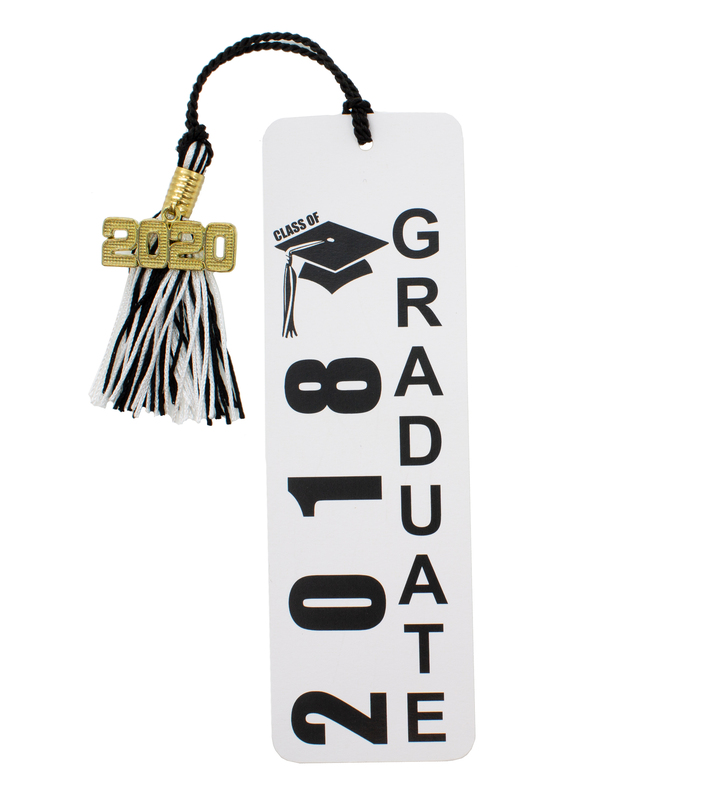 Adorn your yearbook pages with this custom bookmark and matching year date tassel. It is a great page marker to find those meaningful messages from schoolmates. Choose your colors as well as Year Date. Price for Bookmarks $1.60 each (in 25 piece increments). Price for Tassels $2.25 each (in 25 piece increments). Bookmarks and Tassels will be packed separately to protect them from damage during shipment process. Please see our Color Card for color selection.